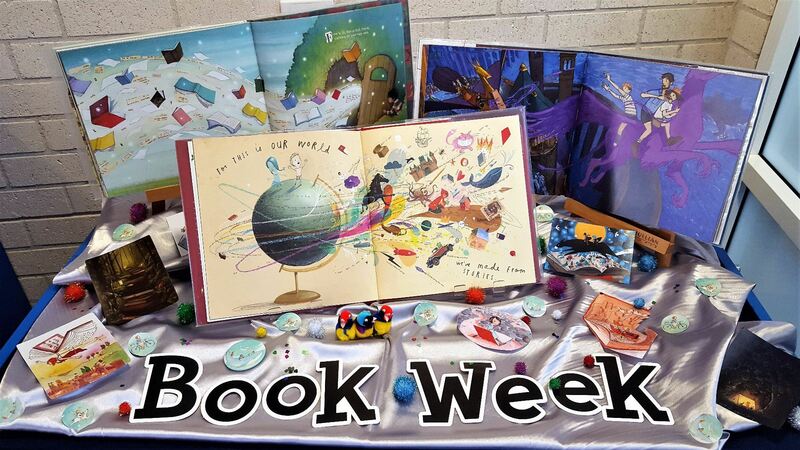 The CBCA Book Week theme Escape to Everywhere has encouraged a lot of discussion with children about what happens when we read, how do we escape with a book, and what are the books we love to escape with. The old suitcase was found not far from home on the side of the street, it still had the SYD Qantas tag attached! It was not hard to find classic book titles related to journies to fill the case and a create vintage style display. The poster Reading Takes You Places was from Scholastic Book Club. 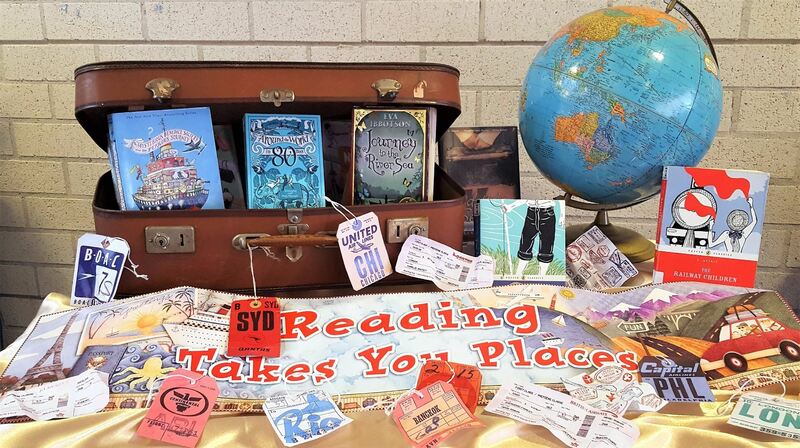 There are some authentic looking airline tickets that we created for book characters using an airline ticket generator (an idea found via The Book Chook) and few genuine looking travel tags that made the final touch.